ANDREW WITH THE BRINDLED HAIR”:THE LATE ANDREW LANG. CONTRIBUTOR OF “AT THE SIGN OF ST.PAUL’S” TO THIS PAPER, AND BRILLIANT WRITER ON MANY SUBJECTS. THE MONARCH UNDER WHOSE RULE JAPAN BECAME A GREAT POWER:MUTSUHITO. 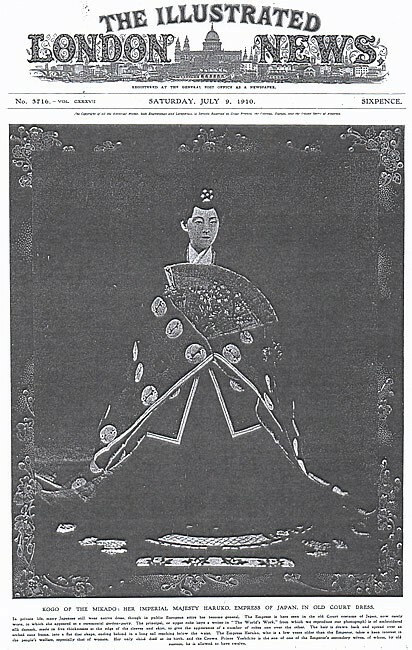 EMPERROR OF JAPAN. GREAT BRITAIN’S EASTAIN ALLY. And criticism and cricket is my game. 3. 戻る The Illustrated London News, July 27, 1912, p.149. 5. 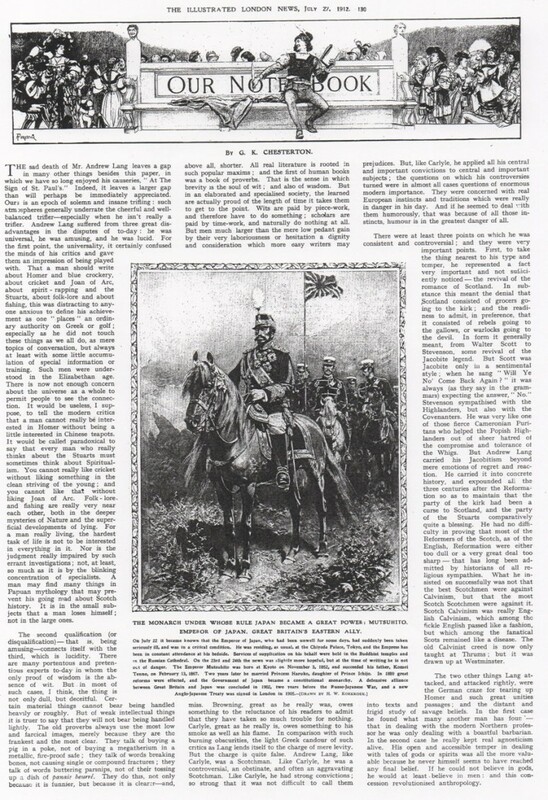 戻る The Illustrated London News, July 27, 1912, p.130. 7. 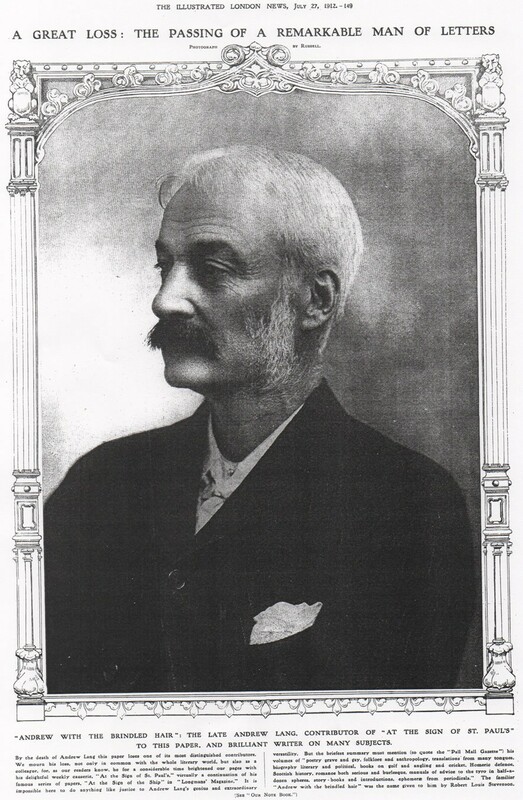 戻る Stuart Kelly, “Andrew Lang: the life and times of a prolific talent”, The Scotsman, 30 January 2012.